Finally! 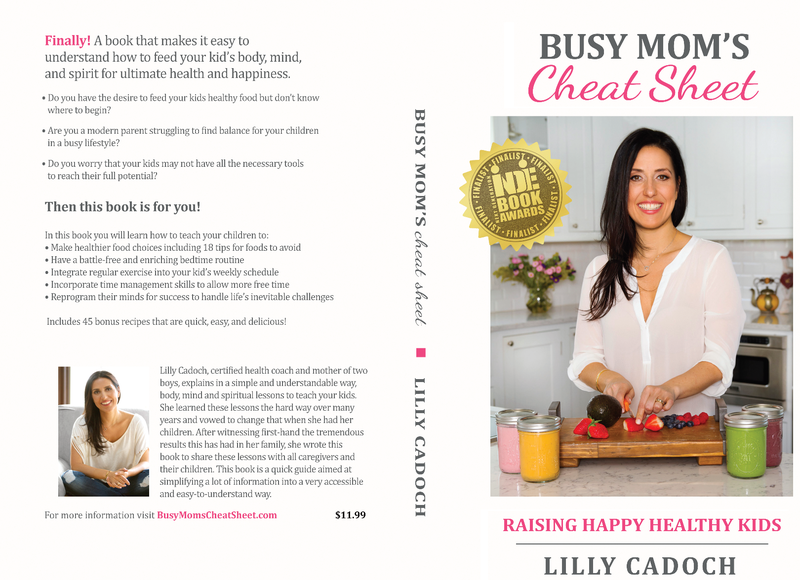 A book that makes it easy to understand how to feed your kid’s body, mind, and spirit for ultimate health and success. 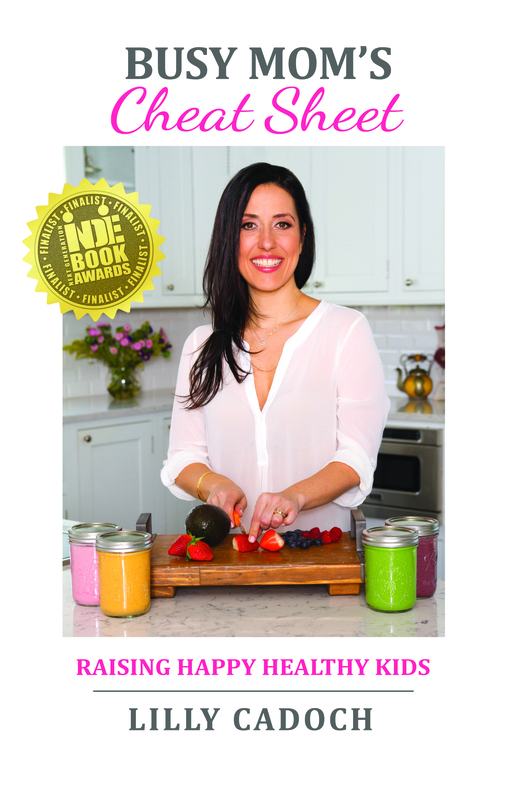 • Do you have the desire to feed your kids healthy food but don’t know where to begin? • Are you a modern parent struggling to find balance for your children in a busy lifestyle? • Do you worry that your kids may not have all the necessary tools to reach their full potential? Includes 45 bonus recipes that are quick, easy, and delicious! In today’s global economy, more is expected of our kids than ever before. To have a better chance for a successful future, our kids are expected to perform from a very young age. They are taking more standardized tests than we can count, expected to excel at competitive sports, participate in extracurricular activities, all while excelling academically in their coursework. Not only that but college admissions are getting more and more difficult, with no guarantee of getting into the college of choice. As a result, we expect a lot from our kids for them to succeed. Our goal as parents is to make sure our kids are provided with the optimal conditions in which to succeed. One of our responsibilities is to ensure our kids are eating healthy. This starts with the food we provide them. But our food supply is getting worse every day, which is only working against us. Our kids are eating more processed foods and sugar than ever before, and not enough fruits and vegetables. We live in a country where they count ketchup as a vegetable in the school lunch program and where we are not always told what is in our food supply. According to Food Chemical News, the leading news service on US food law and policy, a U.S. Senate appropriations bill also stipulates that “tomato paste used to make pizzas can be counted toward the weekly total of vegetable servings." The childhood obesity rate is at an all-time high, leading to more cases of childhood diabetes than our medical system is prepared for. It is a very sad fact that this might be the first generation that our kids’ lifespan is expected to be shorter than ours, even by five years. That is why we need to arm our kids with the physical, emotional and mental tools so that they have a better shot at figuring out their life-path and achieving their goals. A part of arming our kids with this knowledge means that we need to communicate to our children that a healthy life starts with a healthy body. A strong body leads to a strong mind. An open, calm mind helps us discover our life’s purpose. Providing these tools to our loved ones is no easy feat considering we are already very busy caregivers. We have so much going on and adding more items to our ever growing to-do list could be enough to throw us over the edge. That coupled with the fact that the food system isn’t really in our favor and most of the food options out there are not really good for us. Drinking water is the most important of all lessons and a habit that we want to ingrain into our children’s everyday routine. Water makes up approximately 60% of your body weight. According to H.H. Mitchell, Journal of Biological Chemistry 158, “The brain and heart are composed of 73% water, and the lungs are about 83% water.” Water is involved in every cellular activity in the body, and when you don’t drink enough water, those processes are not as efficient. Some of those processes include metabolism, removing toxins from the body, bringing nutrients to your cells, enabling kidneys to filter properly, etc. Even mild dehydration can drain your energy, make you tired, cause overeating, constipation and prevent weight loss. Another interesting fact about the importance of proper water intake is that most cravings are due to dehydration, so if your child has a craving, first see if it subsides after drinking a glass of water before giving into it. What exactly does drinking water on a regular basis mean, you ask? While it used to be “drink eight glasses of water per day,” the one-size-fits-all rule, now we are seeing more information that suggests that the amount of water we drink should be more customized to individual needs. A metric to help you gauge the proper amount of water intake is to drink ½ ounce to 1 ounce per pound of your body weight. So if you weigh 100 lbs., then you should be drinking between 50-100 ounces water per day. Be sure to remember that the level of activity, weather, etc. determines where you fit in that range. So if your kids are tired, sluggish and cranky, try giving them a glass of water. Batmanghelidj, F. Your Body's Many Cries for Water: You Are Not Sick, You Are Thirsty! Don't Treat Thirst with Medications. Falls Church, VA: Global Health Solutions, 1995. Print. Batmanghelidj, M.D., F. "Frequently Asked Questions." WaterCure. N.p., n.d. Web. 19 Sept. 2015. If making sure you’re drinking enough water every day wasn't enough of a challenge, another thing to consider is the pH balance of the water you drink. According to Merriam-Webster dictionary, “pH is a number between 0 and 14 that indicates if a chemical is an acid or a base.” pH can either be alkaline or acidic. pH is measured on a scale of 1–14, with 1 being extremely acidic and 14 being highly alkaline. Water should be at least 7.4 pH, which is the same level as your blood or higher for optimum health and hydration. You are probably wondering what does this all mean and why does it matter? Let me explain: Our bodies work best when our body is alkaline. If it is too acidic, it can cause inflammation, which is a breeding ground for ailments, disease and a variety of health issues. Imagine a fish tank. When a fish tank is clean, water is flowing through the filtration system, the water is clear and fish swim quickly to and fro. As the fish tank gets dirty, the water gets cloudy, algae starts to form on the surface and the fish don’t move as quickly. Eventually, if the tank isn’t cleaned, the fish will ultimately die. I never realized that the water we drink can have different pH balance levels. This is not typically labeled on the water we drink, so how do we know? Well, you can use a simple and fun water experiment. My kids love putting their scientific hats on and testing different brands of water. I bought pH test drops for water pH. I found pH test drops for water pH with a color chart on Amazon for a pretty reasonable price (approximately $20.00). You need to get the drops, not the strips, to have an accurate reading of water pH, as the strips are used for testing the pH level of urine or saliva. My kids and I added a few drops of it into the different types of water we drank and waited to see which color the water turned. Light green, yellow and orange tinted water are progressively more acidic. Darker green, blue and purple tinted water are progressively more alkaline. I was shocked to see that the store brand water bottles I was sending my kids to school with every day had an acidity level of four! MIND There is a direct correlation between eating a healthy balanced diet, exercising regularly and getting enough sleep, and how it affects our thought patterns, how it makes us feel about ourselves and how we view the world around us. The food we eat doesn’t just feed our cells. Food also nourishes our thoughts, which then affect our actions. Now that we know what it takes to get our children's bodies to work better by eating healthier, drinking more water, exercising and sleeping more, we can focus on how to make our children’s mindset optimal. We are all programmed genetically for negative thinking—it's a survival mechanism to make sure we take action in times of need to stay “safe and sound.” Did you ever wonder why you never forget any mistake you have made and dwell on them way too long, while you brush off or downplay your accomplishments and successes, attributing them to luck or something that is not a big deal? How we think and our mindset as to how we approach life has a direct correlation with the type of life we are going to have. So it is very important that we retrain our thoughts for success and happiness by focusing on positivity, abundance, giving, gratitude and love. Failure is just life telling you that you are heading in the wrong direction—against your goals. So in reality, failure is just life giving you a nudge to make sure you adjust your course so that you can continue on the right path to achieve your goals. Happiness does not mean you will have no setbacks. It's how you deal with those setbacks and learn from them that cultivate happiness and ultimate success. WE are usually the ones that get in our own way, telling ourselves it's too hard, we are not good enough, we can’t do it, etc. One way to teach kids the lesson about how to view failure and how to overcome fears is through examples of other people's stories. All people that have had success experienced rejection at some point. To drill this home, the kids and I google autobiographies of successful people, especially the ones my kids admire, to show that success came with hard work, failure and continued perseverance. We read these articles to understand what they did to succeed and, as a result, they feel inspired to pursue their own goals. Merriam-Webster. Merriam-Webster, n.d. Web. 19 Sept. 2015. This is good guide on how to help your kids and yourself. Tips on how to take care of yourself and teach your kids to, body, mind and soul. 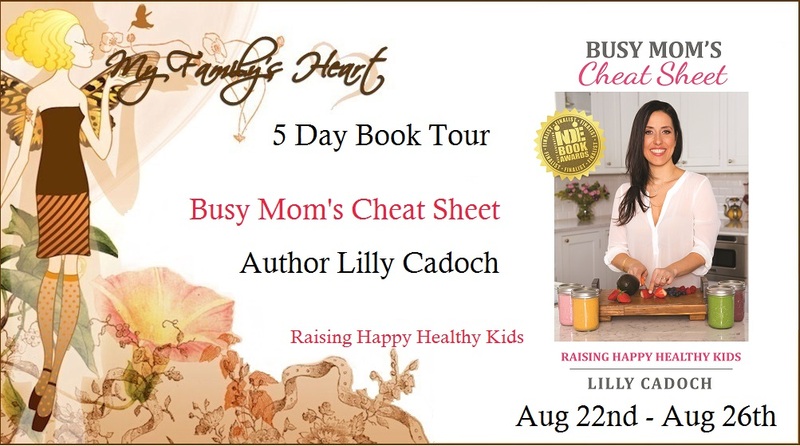 Most of these things as moms we all try to do, Lilly gives great advice and little ways to help bring positive change and build healthy habits. I LOVE the positive affirmations, I think we get so caught up in trying to be the best and make sure our kids are the best that we forget they are the best THEM. I'm excited to try the recipes in the back of the book.